A great number of landlords feel very comfortable renting their property to students. This is because the students are there for a known period of time and the usually do not move in the middle of a school term. So there is little danger of them creating a problem regarding ending the occupancy early. They tend to be reliable in terms of their behaviour and don’t create certain issues which are normally regular for tenants who live for longer durations. However, it’s not that students don’t create any problems. Students can be problematic as they are often young and not abiding and can be careless in maintaining the property as well. This can lead to certain issues for landlords. You can avoid these issues entirely and ensure that you can easily strike a good relation with the students who become your tenants. It’s a good tactic to make the student renting your property sign an inventory list. An inventory list, also known as schedule of condition, is basically a list of the items present in the house that you are renting out. 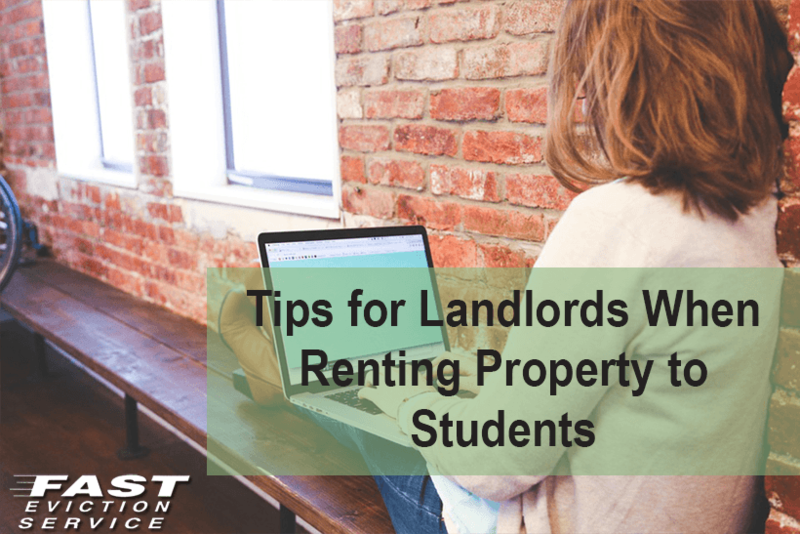 It’s a good practice to follow for any tenant to have them sign and inventory list, but it shows it’s worth the most when you will rent out the property to a student. Students often don’t take a good a care of the items in the house as older. But after signing this document, they would know that if anything goes missing, the landlord would know. The document is legally binding and can be used in a court of law as well if required in order to make your case. Letting the students understand these points will make them be more careful and make your life easier as well. It’s important that you strike a good relation with someone who is already s tudying. This would help you during the screening process and would help you find the right student for the tenancy. Using a fellow student for this purpose would also help you when it would be time for the tenant to pay rent. You can always use your connections with the fellow student to force the tenant to pay up. Be certain that your tenant does not miss rent for more than two months and whenever such a case comes up, you should call the friend in order to rectify the situation.